Description: Open sun 2-4 extremely well cared for three bedroom townhome in a small 8 unit omplex .Beautifully redecorated .New quality wood floors including the kitchen. Lovely large bonus family room, office. Balcony plus west facing patio. Corner gas fireplace. Covered carport. 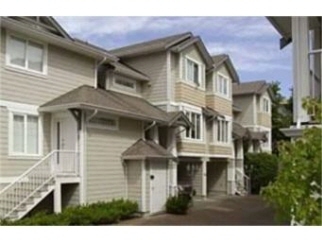 Near shopping.Close to the university of victoria and camosun. Additional Features and Amenities Other: App: Dishwasher, Bsmt: Finished - Fully, Bsmt: Full, Bsmt: Walk-Out, Bsmt: With Windows, Bsmt: Yes, Cons: Frame Wood 2x6, Cons: Insulation Ceiling, Cons: Insulation Walls, Cons: Windows Thermo, Cons: Windows Vinyl, Din-Lev2: 14x7, Elem School: 61 Campus View, Ext Fin: Cement Fibre Siding, Ext: Balcony/Deck, Ext: Fenced Yard/Part, Ext: Landscaped, Ext: Patio, Ext: Sprinkler Underground, Family-Lev1: 20x11, Found: Concrete Poured, Fp: 1, Fp: Living Rm, Fuel: Electric, Fuel: Gas, Heat: Baseboard, Heat: Gas Fireplace, High School: 61 Mt Douglas, Int: Blinds, Int: Central Vacuum Roughed-In, Int: Closet Organizer, Int: Dining-Living Combo, Int: Eating Space, Int: Flrs/Wood, Int: Laundry In-Unit, Int: Screens, Int: Storage In Suite, Int: W/W Carpet, Kitch: 1, Kitch-Lev2: 12x12, Liv-Lev2: 18x12, Lot Desc: Level, Lot Desc: Private, Lot Desc: Serviced, Middle School: 61 Cedar Hill, Mstr-Lev3: 15x12, Office-Lev1: 9x8, Pets: Cats, Roof: Fibreglass Shingle, Waste: Sewer, Water: City/Munic.